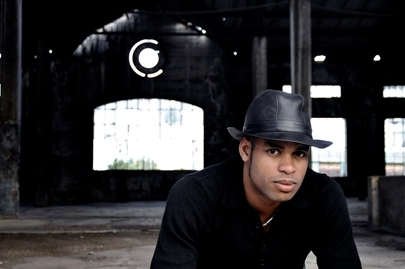 Roberto Fonseca is a monster pianist. 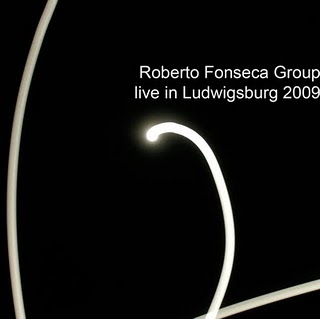 Fonseca has six studio albums available but it’s his live material that really, really moves me. He plays like a brother from another planet who splashes down and endows us with other worldly energy, except that this other world is Afro-Cuban. Though he is Caribbean-born, his music is from that other realm which the African Diaspora knows about - the world whose entrance is through the doorway of trance. It’s been a long time since I’ve been so enraptured by contemporary jazz. Other than Charles Lloyd, I can’t think of anyone else off the top of my head. Lloyd is an elder, a master, a seer; Roberto is a newbie, still in his thirties. Born in Havana in 1975, he took up music as a pre-teen, switching from percussion to piano at eight years old. The guy was playing professionally as a teenager while studying to receive a master’s in music composition from Cuba’s leading arts university, Instituto Superior de Arte. He has collaborated and recorded with a host of Cuban and Brazilian musicians, including touring as the house pianist with the Buena Vista Social Club. Rather than bore you with superlatives and effusive praise, let me point out two quick observations and get out the way so you can become enthralled with this magnificent music. First, Roberto’s chops are off the scale in terms of piano techniques. Some of his finger-busting runs rival anything you’ve heard before, but the real news is his ability to play independent lines with both hands at the same time. The only pianist who is as adept as Fonseca in terms of doing one thing with his left hand while his right hand does something completely different is the South African maestro Abdullah Ibrahim. While Roberto’s prodigious technique is fascinating, his dramatic sense of form and dynamic progression is even more astounding. Every song builds and builds, and reaches ever higher to a bursting point. Whether a ballad, Latin rhythms, or scorching uptempo jazz, Fonseca’s music is always both rousing and arousing. His quintet is a decade-old; working aggregation that physically vibrates, exuding energy and passion in both solos as well as accompaniment. In fact, you can hear band members verbally encouraging each other with shouts and exclamations. The band is composed of Roberto Fonseca (piano and percussion), Javier Zalba (flute, clarinet and saxophone), Joel Hierrezuelo (percussion), Omar González (bass), and Ramsés Rodríguez (drums). 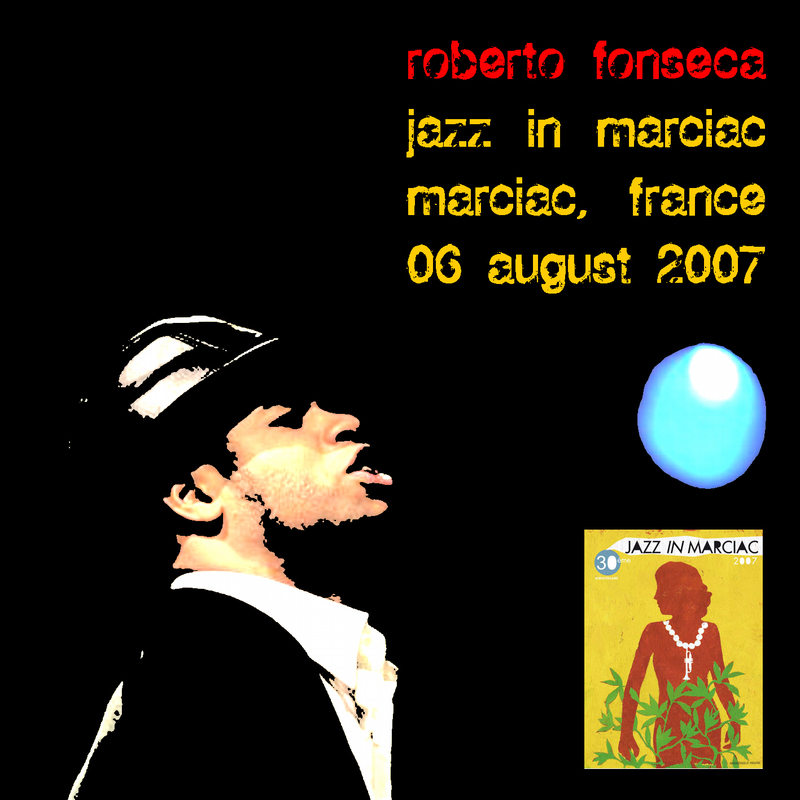 Additionally, I sense some Nat King Cole in Roberto Fonseca in terms of his vocal skills. I don’t mean he sounds like Nat, I mean that he has vocal abilities that will increasingly come to the fore. Listen to how Roberto’s voice blends with the music as a second horn offering a surprisingly pleasing harmony to the rhythm-rich performances. 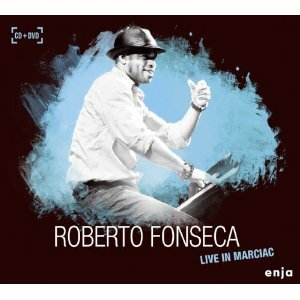 Once I heard Fonseca’s latest release, Live in Marciac, I went on a fishing expedition to some of my favorite internet spots, as well as to some previously unexplored waters. I found three other bootlegs of performances all from the same 2009 European tour in addition to a bootleg of a 2007 performance in France. The music on this mixtape includes tracks not commercially available. I promise you this is a special treat.